Handing over your car keys: will your insurer pay out if your motor gets damaged? If you hand over your car keys to a valet or mechanic, your insurer might not pay out if your motor gets damaged. Sue Hayward explores your rights. Many of us are perfectly happy to hand over our car keys to a valet or garage, but what happens if our precious motor gets damaged? It's that time of year where you're more likely to use an airport ‘Meet and Greet’ services or valet parking at a hotel. But even if you go for a ‘cheaper’ parking option and rent a space on someone’s drive you may still be expected to hand over your keys while you’re away. 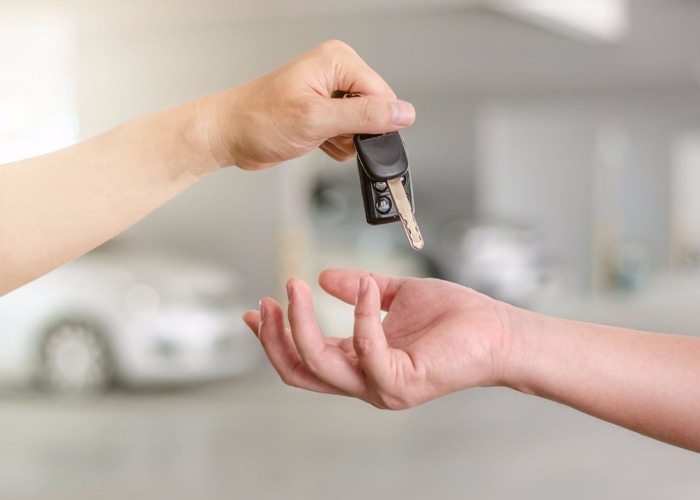 Before parting with your keys, always check who pays out if something happens to your car as your own policy may not cover this if you willingly hand over the keys. It sounds like the easy option. Instead of playing ‘hunt the space’ in a packed car park, you just drive up and hand over your keys to the representative at the terminal. But with stories of cars being moved to muddy fields or residential areas how can you be sure the company concerned will look after your motor? Ideally, you should look for Park Mark award holders. This is a police scheme, managed by the British Parking Association, that sets minimum safety and security standards for car parks. “As car parks are vetted, consumers have greater assurances that their vehicles are properly looked after”, says Kelvin Reynolds from the British Parking Association. When it comes to insurance, Reynolds says it would “expect all drivers to be insured and area managers to check the appropriate documents are in place”. Check the terms and conditions of any service before booking. While the operator’s insurance may cover damage incurred while your car’s being driven by one of its employees, there could be exclusions such as possessions you leave in your car. Asking to see a copy of the hotel’s insurance policy before handing over your keys may sound a little extreme, but as 50% of private motor policies don’t include cover for valet parking you don’t want to risk being left out of pocket if there’s a debate over damage. John Franklin from Aviva motor insurance says the hotel will usually have its own commercial motor insurance. It covers both employee drivers and protects the customer’s vehicle in the event they cause damage. However, if this isn’t the case, don’t depend on your own insurance as a fallback. Defaqto, an information business helping people make better informed choices, checked out 300 private motor policies and found that just 50% of them cover valet parking. This means you won’t be covered if you’re with insurers including Admiral, Hastings Direct, Swinton or Tesco Bank. However, other insurers including Aviva, Churchill, Direct Line, Legal & General and LV= do cover valet parking. And even if you can claim on your own policy, any claim is “likely to be subject to your excess and impact your no claims discount,” warns Franklin. Hand over your keys at the local garage and you’re protected by the ‘law of bailment’, according to Which?. This means anyone you entrust with your ‘property’ has a duty of care to look after it. A Which? spokesperson said that garages are responsible for any damage or loss incurred while your car is in their possession. Even though some garages may try to wriggle out of any responsibility with notices claiming they’re ‘not liable’ for any loss or damage, this isn’t the case. And you’ve got another layer of protection with cover under the Consumer Rights Act. This states that a garage must “provide its service with reasonable care and skill and be responsible for any damage caused if it doesn’t”. It's worth checking if the garage you’re using is a member of the Good Garage Scheme as this provides back-up in the form of mediation and can investigate customer complaints. Companies like JustPark and YourParkingSpace offer a budget alternative to expensive airport parking and can be used for shorter stays if you’re looking for parking near a concert or sporting event. You’ll usually get a space on someone’s drive, and in some cases, be asked to hand over your keys, especially if parking’s tight and the homeowner wants to shunt the cars around while you’re away. “We advise drivers that they park at their own risk, just as they would with any on-street parking or public car park” says Sam Mellor, marketing manager at JustPark.com. This means in the event of damage they’d need to claim through their personal vehicle insurance. So, it’s worth checking with your own insurer to make sure you’ll be covered if you do come back to find any damage. “The onus is on the vehicle owner to check anyone they give their vehicle to will be covered,” says John Franklin. “If your vehicle is involved in an ‘accident’, even if you don’t claim on your own policy, you still need to tell your insurers about the event”. Whatever happens, make sure you have the right car insurance policy.